April | 2018 | THE ABYSS BECKONS! But no Iranians killed! And no accusations against Israel. No one has yet admitted the responsiblity for the attack, but militants’ news outlets and social media networks said the US has fired the missiles from Al-Tanf border crossing in Eastern Syria. Some other sources said that the missile attacks were carried out by the US and in response to the Syrian army’s advances East of Euphrates against the Kurdish-dominated Syrian Democratic Forces (SDF). Other sources said that Israel that had previously targeted the T4 airbase in Homs province where the Iranian troops had been stationed has been behind the missile attacks. There is yet no official confirmation on the origin of the missile launches. Hours after a mysterious “earthquake” — 2. 6 on the Richter scale — registered on the devices of the European Mediterranean Seismological Center, the circumstances behind the series of explosions that shook Syria overnight Sunday-Monday are starting to become clear. First and foremost was the sheer power of the attack. The pictures and the sounds, and the large number of casualties, point to an incident of larger scale than those to which we have become accustomed. We are not talking here about just another strike on another Hezbollah convoy, but rather what would appear to be a new step in what is now the almost-open warfare being waged between Iran and Israel in recent weeks on Syrian territory. The same player that earlier this month attacked the T-4 airbase, from which an Iranian attack drone was launched into Israel in February, apparently struck again overnight Sunday-Monday, taking the gloves off and moving into a new level of military confrontation. Third, the latest strike was carried out at a time when the US Secretary of State Mike Pompeo is visiting the region, and just a few hours after he held talks with Prime Minister Benjamin Netanyahu. The two of them used the opportunity to issue no shortage of threats and promises to thwart Iran’s aggression and nuclear ambitions. Late Sunday, news also broke of a phone call between Netanyahu and US President Donald Trump. Israel’s Defense Minister Avigdor Liberman has been meeting with his US counterpart James Mattis in Washington. 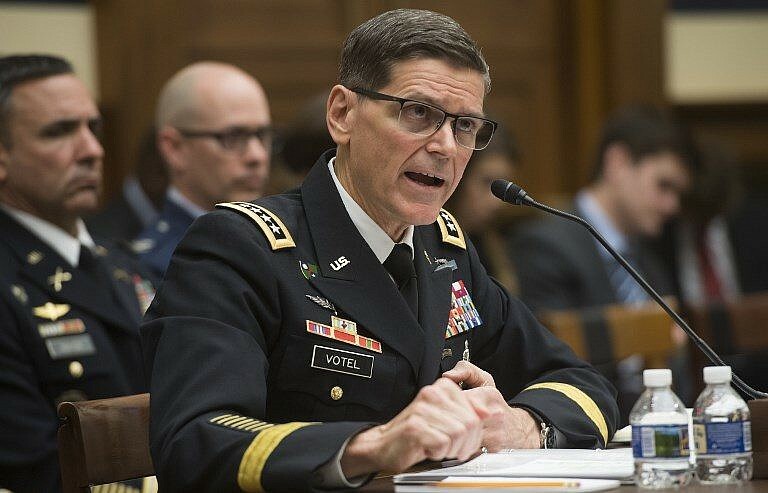 And less than a week ago, Gen. Joseph Votel, the head of the US army’s Central Command, or CENTCOM, whose sphere of responsibility includes Syria and Iran, made a largely unpublicized visit to Israel. Once again, we see the weakness of Russian IADS. The IDF flew into and out of Syria without loss, and hit their targets. As many as 200 Iranians missiles were destroyed. An opposition source said one of the locations hit was an army base widely known as a recruitment center for Iranian-backed Shi’ite militias who fight alongside Bashar Assad.